Writing the obituary of al Qaeda has proven premature. Recent attacks in Saudi Arabia, Morocco and Pakistan by al Qaeda and affiliated groups demonstrate the war on terrorism is far from over. Indeed there are likely to be more attacks against western targets in coming weeks. Yet the Bush administration, and by extension the American public, are laboring under two misapprehensions about the conduct of that war; one of which is significant, the other is of fundamental importance. The first miscalculation is that the war in Iraq was relevant to the war on terrorism. LONDON, England (CNN) — A leading Saudi dissident who broadcasts a nightly radio newscast from London into the Saudi kingdom, said he is certain that Saudi exile Osama bin Laden gave the “green light” for Monday’s suicide attacks in Riyadh. WOLF BLITZER, CNN ANCHOR: No one’s claimed responsibility for the Saudi attacks, but a lot of people, including the secretary of state himself, are clearly pointing toward Al Qaeda. 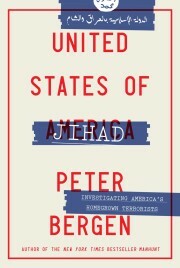 CNN’s terrorism analyst Peter Bergen has been studying that group for many years. He wrote an important book himself, “Holy War, Inc.: Inside the Secret World of Osama Bin Laden,” a best seller. Peter joins us now from Washington. We live in sobering times, so why are the bestseller lists so punch-drunk? In the wake of the traumas of Sept. 11 and after, publishers have rushed out titles that stake strong ideological positions — particularly when delivered by someone with a modicum of fame — and watched the nonfiction lists lurch into line. How else to explain the runaway success of books such as Michael Moore’s “Stupid White Men” — now nearing a yearlong run on the New York Times list — or Michael Savage’s “Savage Nation”?